Running is cheaper than therapy. So is cake. The perils of trail racing. Two weeks ago I ran my first trail race ever. 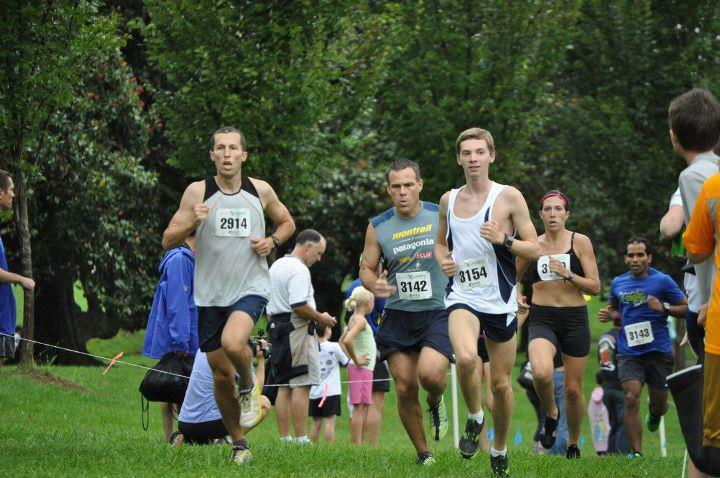 I usually run the 5k cross country race at Maymont on Friday night. Last year I won it. A year later: undertrained, ill-prepared, excited, nervous…. 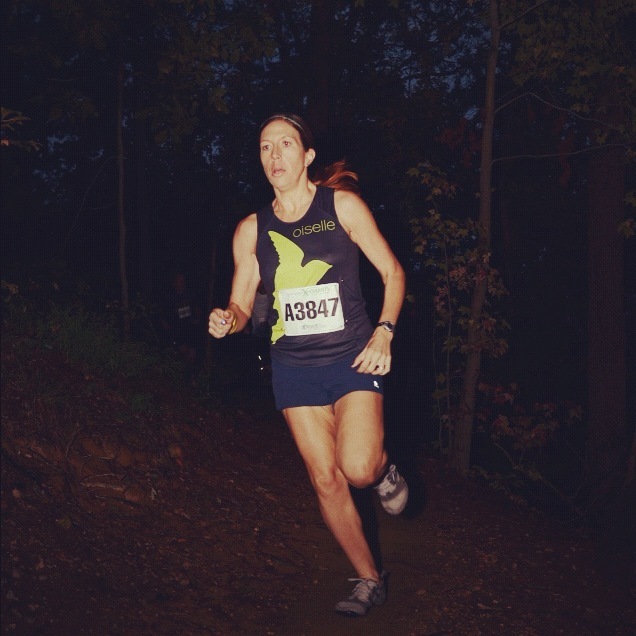 Horribly ugly race photo that I paid 25 dollars for. I need to get into the photography business. 24 hours later I could not walk. So as you might have guessed, I already signed up for another trail race. It’s a sickness, really. But things are about to get even more interesting. Steph, Brandon, and Mia after Mohawk Hudson Marathon last weekend. 3:38 for Steph and 3:37 for Brandon, 50 minute PRs! After spending last weekend coaching and cheering for Piece of Cake Running’s #1 and #2 athletes, I caught the marathon bug again. So, seven weeks from today I will be loading up on pasta and getting ready for my second real marathon. I’ll get in 7 tonight and I have 16 planned for tomorrow, which brings me to 50 miles for the week. Feeling good so far, but I’m interested to see what will happen at the race tonight. It’s kind of fun to race when you know you’re not in great shape… no pressure, just have fun and see how hard you can push yourself. Have you ever raced your way into shape? Ever run a marathon with a short build up, a la Lauren Fleshman? Have you caught the fall racing bug yet? you can ask me on nov 4th how a 7 week build up went! I’ll remember that! Although there’s no turning back now! We made the blog! Love that picture!! 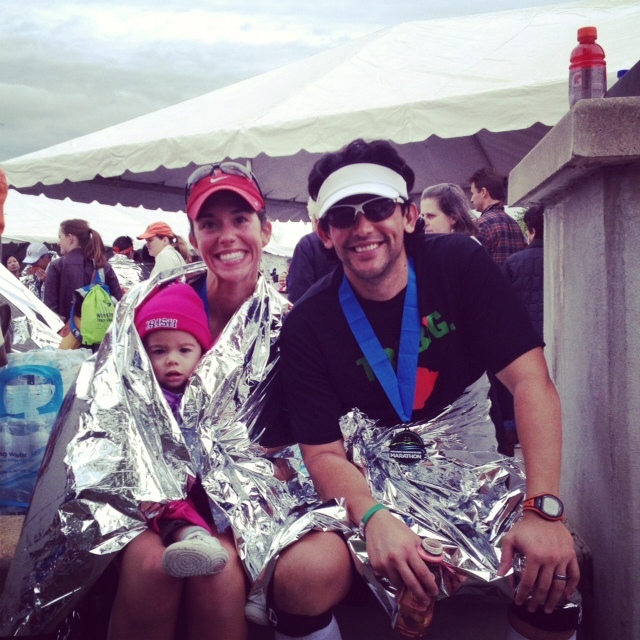 Hartford Marathon recap (2:53:32)… and what’s next?